If you have dementia, or are caring for someone with dementia, you’ll be welcomed at one of our cafes. Come along to meet others in a similar situation, in a relaxed social setting. 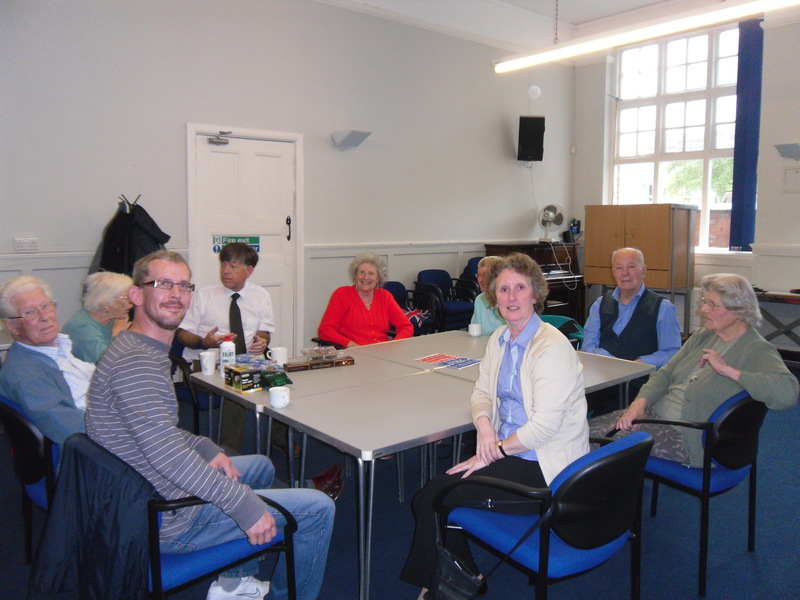 You can spend time sharing information and experiences, We also have regular talks on a wide range of topics. Capoeira is a Brazilian Art Form which combines elements of dance, acrobatics, play and ritualistic fighting. It is a celebration of life in the face of everyday struggles; it develops confidence combines with a strong feeling of centre and balance. The group meet twice a week on Tuesday and Thursday evenings from 7.00pm-8.30pm ~ all levels are welcome at either session. Don’t be misled by the title of this group! Anyone over the age of 16 is welcome to come along to weekly sessions. The Crafties are a friendly, informal group who meet once a week; alternating their sessions: one week on a Wednesday evening (6.00pm-9.30pm) the following week on a Thursday morning (9.00am-1.00pm). People of any ability are welcome, with the focus mainly on papercraft, usually handmade cards. The cost per session is £5 which includes materials and tea or coffee and biscuits. Members usually take at least one card away with them. An informal, non-profit making group of ladies who meet on the first Wednesday of each month in the Jeffery Room from 7-9.30pm. They embrace all stitching techniques including embroidery, patchwork and quilting, box making and candlewicking. They regularly support Air Ambulance and Macmillan charities through the sale of their work. Currently they are unable to accept new members, but if you would like to go on a waiting list or would like more information about the work they do, write to Barbara Harrison at the Doddridge Centre who will forward your enquiry.